Unmanned underwater vehicle with no control module. The simulation is done using Kratos Multiphysics. Concrete caissons are dragged seawards by the liquefacted hydraulic filling. The simulation is done using Kratos Multiphysics. This video shows a landslide falling into reservoir, with the subsequent generated wave. 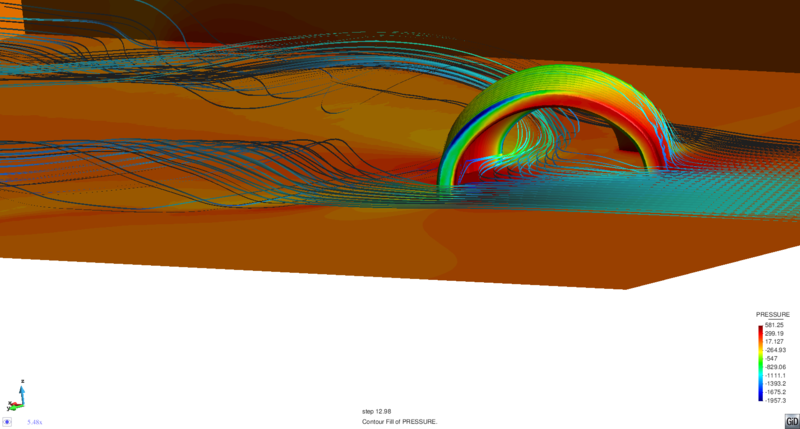 Simulation done using Kratos Multiphysics. 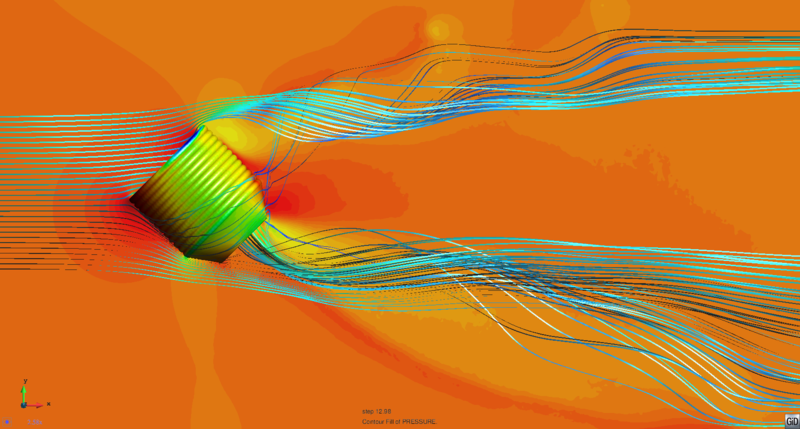 Free flight simulation of a ram-air parachute, using PARACHUTES solver.